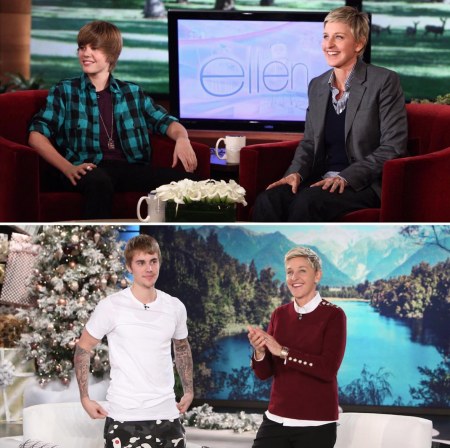 Justin Bieber announced his stadium tour on an episode of "Ellen." If his ever-extending 100+ date Purpose tour has proven anything, it’s that Justin Bieber can fill a room. Now, he’ll be busting through the constraints of ceilings and walls on a just-announced leg of U.S. stadium dates next August. Bieber will announce the news on an episode of "Ellen" airing Monday afternoon (Dec. 5). In a teaser, Bieber revealed the big news: "We're doing stadiums in the United States," he told the audience, before revealing a bit about his personal life: "I'm not dating anybody. Single," Bieber told DeGeneres in response to her playful prying. "I'm not really looking either." Bieber will have a busy 2017 as he brings his Purpose to Mexico, Australia, New Zealand, Europe and South America. The U.S. stadium dates kick off on Aug. 5 at the Rose Bowl in Pasadena, California. Scan the dates below and grab tickets right here on AXS.